El Hierro is the smallest and most south westerly of the Canary Islands, located below La Palma. A top destination for scuba divers and snorkelers, the waters surrounding El Hierro are ideal for discovering the fascinating rock formations and incredible marine life which hides beneath the water’s surface. Far removed from the popular tourist destinations of Tenerife and Gran Canaria, El Hierro is known for its unspoilt volcanic landscape, incredibly diverse plant life and the natural pools which are just begging to be bathed in. Due to its small size, the island is divided into only three different areas – Valverde, Frontera and El Pinar. Valverde is the capital of El Hierro, where only 1,800 inhabitants live. Visiting this village is like taking a journey into the past – no houses are more than two storeys high, there are no lifts or any traffic lights to be found anyway. The only Canary Island capital not located on the coast, Valverde is positioned on a steep slope which awards visitors with stunning views across the Atlantic. This is the busiest part of the island and is where most of the action can be found in the form of various types of accommodation, bars, restaurants, banks, pharmacies, cultural centres, schools and an ethnographic centre. One of the most popular parts of Valverde is the Nuestra Señora de La Concepción church which dates back to the 18th century and is a beautiful place to visit. La Frontera covers numerous villages and with so many things to see and do, is a must-visit during your trip to El Hierro. Here you can stop by the Virgen de Candelaria church which features a stunning bell tower, wander around the landscaped gardens in Los Llanillos or indulge in some wine tasting in Sabinosa. El Verodal beach with its stunning red sand and powerful waves is also found within this area, as is the Mirador de Bascos vantage point from where you can enjoy amazing panoramic views across El Golfo. 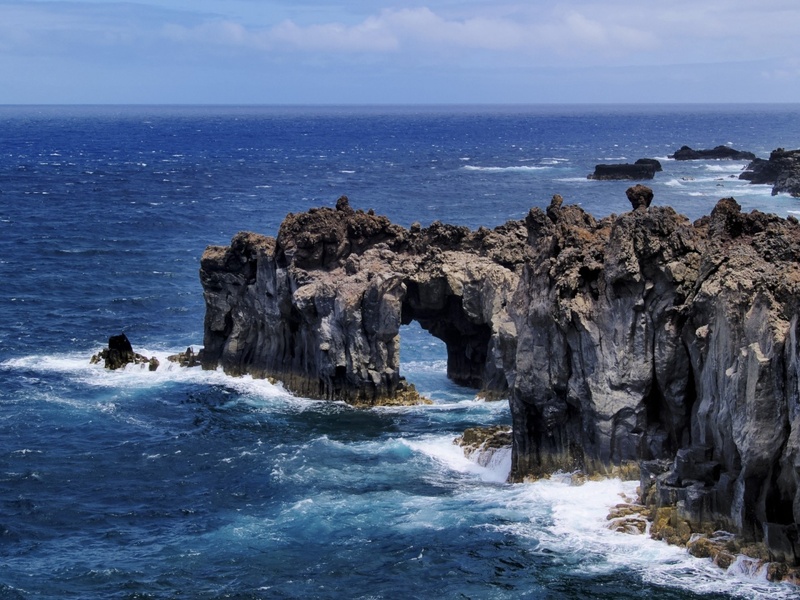 Although there aren’t many things to do and see in El Pinar – the third area of El Hierro – this region is home to some of the best attractions on the island. The Tanajara vantage point offers an amazing view of the village which stretches across the whole of the south of the island. The village of El Pinar itself is also worth a visit and is where you’ll find numerous workshops where you can watch the locals weave wool and make handicrafts out of wood and even have a go yourself if you’re feeling artistic. El Morcillo is another top place to call upon. Found in the heart of the forest, this park features a campsite, barbecue pits, picnic areas, toilets and a children’s playground, providing the ideal location to enjoy a family day out. If you’re looking for an unspoilt holiday destination teeming with breathtakingly beautiful views, traditional white-washed villages and an unassuming atmosphere, El Hierro in the Canary Islands ticks all the boxes.